1 Perhaps it is not yet quite clear to you that each decision that you make is one between a grievance and a miracle. Each grievance stands like a dark shield of hate before the miracle it would conceal. And as you raise it up before your eyes, you will not see the miracle beyond. Yet all the while it waits for you in light, but you behold your grievances instead. 2 Today we go beyond the grievances to look upon the miracle instead. We will reverse the way you see by not allowing sight to stop before it sees. We will not wait before the shield of hate, but lay it down and gently lift our eyes in silence to behold the Son of God. 3 He waits for you behind your grievances, and as you lay them down he will appear in shining light where each one stood before. For every grievance is a block to sight, and as it lifts, you see the Son of God where he has always been. He stands in light, but you were in the dark. Each grievance made the darkness deeper, and you could not see. 4 Today we will attempt to see God's Son. We will not let ourselves be blind to him; we will not look upon our grievances. So is the seeing of the world reversed, as we look out toward truth, away from fear. 5 We will select one person you have used as target for your grievances and lay the grievances aside and look at him. Someone perhaps you fear and even hate; someone you think you love who angers you; someone you call a friend, but whom you see as difficult at times or hard to please—demanding, irritating, or untrue to the ideal he should accept as his according to the role you set for him. 6 You know the one to choose; his name has crossed your mind already. He will be the one of whom we ask God's Son be shown to us. Through seeing him behind the grievances that we have held against him, you will learn that what lay hidden while you saw him not is there in everyone and can be seen. He who was enemy is more than friend when he is freed to take the holy role the Holy Spirit has assigned to him. Let him be savior unto you today. Such is his role in God your Father's plan. 7 Our longer practice periods today will see him in this role. We will attempt to hold him in our mind, first as you now consider him. We will review his faults, the difficulties you have had with him, the pain he caused you, his neglect, and all the little and the larger hurts he gave. We will regard his body with its flaws and better points as well, and we will think of his mistakes and even of his "sins." To ask to lead me to the holy light in which he stands, that I may join with him. 10 The body's eyes are closed, and as you think of him who grieved you, let your mind be shown the light in him beyond your grievances. What you have asked for cannot be denied. Your savior has been waiting long for this. He would be free and make his freedom yours. The Holy Spirit leans from him to you, seeing no separation in God's Son. And what you see through Him will free you both. 11 Be very quiet now and look upon your shining savior. No dark grievances obscure the sight of him. You have allowed the Holy Spirit to express through him the role God gave Him that you might be saved. God thanks you for these quiet times today in which you laid your images aside and looked upon the miracle of love the Holy Spirit showed you in their place. The world and Heaven join in thanking you, for not one Thought of God but must rejoice as you are saved and all the world with you. 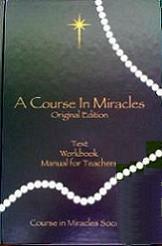 13 Let miracles replace all grievances. 19 To heal is to liberate totally. We once said there is no order of difficulty in miracles because they are all maximal expressions of love. This has no range at all. The non-maximal only appears to have a range. This is because it seems to be meaningful to measure it from the maximum and identify its position by how much it is not there. Actually, this does not mean anything. It is like negative numbers in that the concept can be used theoretically, but it has no application practically. It is true that if you put three apples on the table and then take them away, the three apples are not there. But it is not true that the table is now minus three apples. If there is nothing on the table, it does not matter what was there in terms of amount. The "nothing" is neither greater nor less because of what is absent. 20 That is why "all" and "nothing" are dichotomous, without a range. This is perfectly clear in considering psychological tests of maximal performance. You cannot interpret the results at all unless you assume either maximal motivation or no motivation at all. Only in these two conditions can you validly compare responses, and you must assume the former, because if the latter were true, the subject would not do anything. Given variable motivation, he will do something, but you cannot understand what it is. 21 The results of such tests are evaluated relatively assuming maximal motivation, but this is because we are dealing with abilities, where degree of development is meaningful. This does not mean that what the ability is used for is necessarily either limited or divided. Yet one thing is certain—abilities are potentials for learning, and you will apply them to what you want to learn. Learning is effort, and effort means will. We have used the term "abilities" in the plural because abilities began with the ego, which perceived them as potentials for excelling. This is how the ego still perceives them and uses them. 22 The ego does not want to teach everyone all it has learned because that would defeat its purpose. Therefore, it does not really learn at all. The Holy Spirit teaches you to use what the ego has made to teach the opposite of what the ego has learned. The kind of learning is as irrelevant as is the particular ability which was applied to the learning. 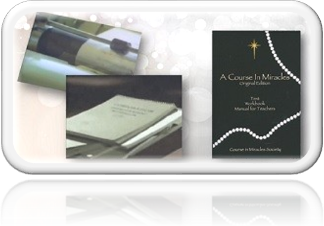 You could not have a better example of the Holy Spirit's unified purpose than this course. The Holy Spirit has taken very diversified areas of your learning and has applied them to a unified curriculum. The fact that this was not the ego's reason for learning is totally irrelevant. 23 You made the effort to learn, and the Holy Spirit has a unified goal for all effort. He adapts the ego's potentials for excelling to potentials for equalizing. This makes them useless for the ego's purpose but very useful for His. If different abilities are applied long enough to one goal, the abilities themselves become unified. This is because they are channelized in one direction or in one way. Ultimately, then, they all contribute to one result, and by so doing, their similarity rather than their differences is emphasized. You can excel in many different ways, but you can equalize in one way only. Equality is not a variable state, by definition. 24 That is why you will be able to perform all aspects of your work with ease when you have learned this course. To the ego there appears to be no connection, because the ego is discontinuous. Yet the Holy Spirit teaches one lesson and applies it to all individuals in all situations. Being conflict-free, He maximizes all efforts and all results. By teaching the power of the Kingdom of God Himself, He teaches you that all power is yours. Its application does not matter. It is always maximal. Your vigilance does not establish it as yours, but it does enable you to use it always and in all ways. 25 When I said, "I am with you always," I meant it literally. I am not absent to anyone in any situation. Because I am always with you, you are the way and the truth and the light. You did not make this power, any more than I did. It was created to be shared and therefore cannot be meaningfully perceived as belonging to anyone at the expense of another. Such a perception makes it meaningless by eliminating or overlooking its real and only meaning. 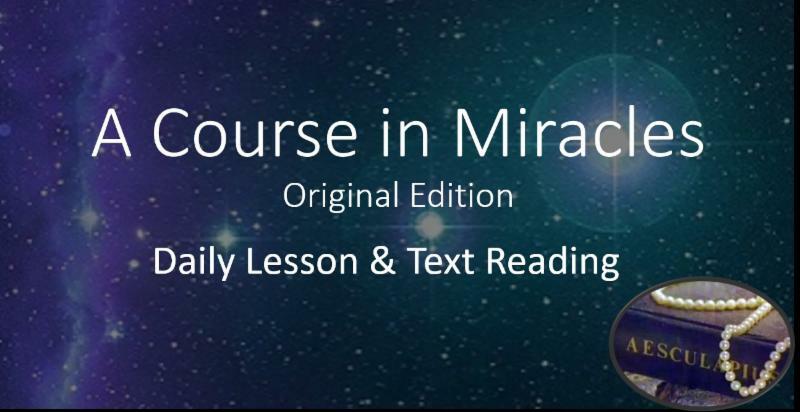 This is another amazing Lesson and a classic forgiveness exercise, where we see that grievances are the problem and miracles are the solution. There is so much power and so much promise in this Lesson, and it is also eminently practical. The entire Lesson is written in the prose of iambic pentameter. All Lessons from Lesson 98 on are written in this kind of blank verse, which reverberates like the beat of a heart by its rhythm of ten syllables per line with the accent on the second syllable. Thus, reading it resonates in a poetic and symphonic way in our minds. I think it is meant to bypass our conscious awareness, like listening to beautiful music. For me, it also illustrates how this dictation must have come from a mind far beyond this world. This Lesson provides us with the key to our release from the hell and darkness we find ourselves in when we hold grievances. Our grievances may not even be all that apparent to us. We have become so accustomed to judging that we easily dismiss the little annoyances, small irritations, and frustrations that cause us to lose our peace. Then we wonder why we are feeling so distressed or depressed when all around us we see guilt and experience fear. Interestingly enough, the Course considers any grievance, no matter how small, as no different than murderous rage. However big or small annoyances seem to be, they nevertheless obscure our peace. When we are not at peace, we are not able to experience the miracle. We need to stay very aware of our thoughts and stay very vigilant as to whether we are choosing the ego or the Holy Spirit. When we become aware that we have chosen the ego, we need to bring our misguided perceptions to the Holy Spirit, for His interpretation. "Today we go beyond the grievances, to look upon the miracle instead. We will reverse the way you see by not allowing sight to stop before it sees." (W.78.2.1-2) We need the help of the Holy Spirit to bring about a reversal of our conditioned way of seeing. When we turn to Him, we learn that we can be helped to see past "the shield of hate , " (W.78.2.3) which keeps us from seeing our brother as the Son of God. The shield of hate constitutes our projections of guilt onto our brothers. Instead of seeing their divinity, we see the difficulties we experience with them, the pain we believe they have caused us, their neglect of us, all the little hurts we have felt in their presence, any bodily flaws, and their mistakes or even sins, as we perceive them. All these things for which we condemn anyone constitute this shield of hate. It keeps us from seeing the Christ in them. It keeps us from seeing their innocence and thus from knowing our own innocence. It keeps us from seeing how we all share the same nature, both that of the ego and of our divine Self. There are no victims nor perpetrators. When we side with the "victim," we are refusing to see the sameness of us all as the Christ Self. We are choosing to judge instead of hearing the call for love in our brothers and recognizing it as our own call to open up to the love we are. "We will not let ourselves be blind to him; we will not look upon our grievances." (W.78.4.2) When all we see are our grievances, we stay blind to the Christ that vision shows us in our brother and thus in ourselves. True vision is hidden by grievances, and when we hold grievances, we stay blind to the truth. Jesus tells us that in lowering our shield of hate and seeing who our brother is, we reverse the seeing of the world "as we look out toward the truth, away from fear. " (W.78.4.3). All we see reflected back at us are our own projections of guilt, and now we fear retaliation. We think that by focusing on the guilt in others we are able to see their motivations and understand who they are. We give our insights into people great credibility and trust our perceptions but Jesus says they are always wrong! Now we are called to release our misperceptions to the Holy Spirit, Who will reveal to us who our brother really is. We are totally blinded by our own assessment of people. We may have thought of someone as kind, and now we see them for who they really are, as if we had been led astray by our earlier perceptions. Yet none of our perceptions are the truth. We are always just projecting our own misperceptions onto others, believing if we make them the guilty ones, somehow, we can be free of our own guilt. When they seem to upset us, our responsibility is to look at the roles and expectations we have assigned to them. "Then let us ask of Him Who knows this Son of God in his reality and truth, that we may look on him a different way, and see our savior shining in the light of true forgiveness, given unto us." (W.78.7.1) Ask with deep sincerity to see the truth. In some situations, it may seem like it takes a lot of time to really give up our carefully cherished grievances, but Jesus reminds us that it does not matter because that is what time is for. As long as you are using time for this purpose, do not get discouraged if the process seems to go on for a seemingly long time. It need not take long at all, but some long-held grievances may indeed be stubbornly held and nurtured, in spite of what seem to be our best efforts to forgive. When we truly ask the Holy Spirit to help us take our projections off our brother and take responsibility for them as coming from our own minds, with willingness and readiness on our part, the miracle comes and shifts our perception; so where once we held judgments, we now experience peace. Our motivation to "Let miracles replace all grievances" (W.78) increases with each miracle, as more and more peace is experienced. There are people in our lives whom we are asked to select for this exercise. It may be someone we fear, hate, or think we love who has angered us, a friend who is difficult to please, or someone who doesn't meet our expectations and the role we have assigned to them. Our hurt, disappointment, and anger point to the places in us where we are projecting guilt onto a brother. The first step in this process is to take responsibility for the guilt we project and recognize it as our own. By asking for the help of the Holy Spirit and doing our part in taking responsibility for our upsets, judgments, and grievances, the miracle will shift our wrong-minded perceptions. As we pick a person to focus on, we recognize some form of the darkness we see in them is in ourselves. Thus, we see how we have picked convenient targets onto whom we project our guilt. As we consider the target of our projected grievances, we then ask the Holy Spirit to help us see this person as our savior. Isn't that an amazing thought? These very people that we believe we can't stand have been called into our lives precisely to be our saviors! Jesus reminds us of their importance in our lives, in that they actually hold the key to our salvation so we can be healed of our guilt. That may seem like quite a stretch when we think about it; but how would we ever access our anger if they were not in our lives and pushing our buttons? The anger is already in our own minds. We are helped to see this is the case through our special love and special hate relationships. As our darkness is brought to the light, it will dissolve when given over to Holy Spirit. 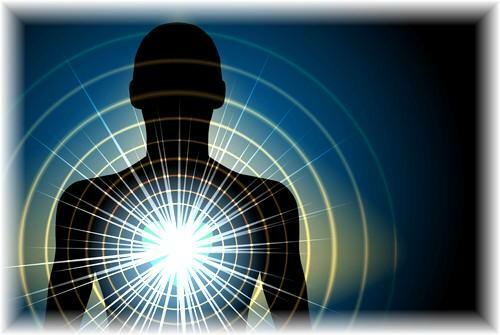 As our minds are healed, we will see this light in our brothers. Again, the practice is with specific people, but ultimately, it is generalized to everyone. We will come to see all our brothers as either giving love or calling for love, because the love we will come to see in ourselves is the love we will now see all around us. The behaviors of others may not change, but the interpretations we give their behaviors will change. Only with the help of the Holy Spirit is our release possible. Jesus tells us, "What you have asked for cannot be denied." (W.78.8.1) "And let the darkness be dispelled by Him Who knows the light, and lays it gently in each quiet smile of faith and confidence with which you bless your brother." 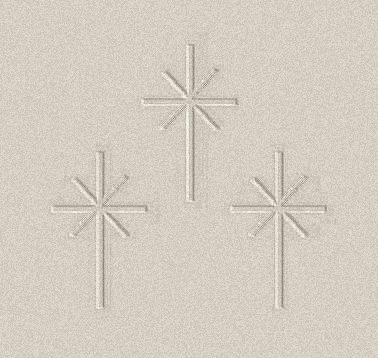 (T.22.VI.9.11) (ACIM OE T.22.VII.59) All of Heaven rejoices and God thanks us! What a thought. Basically, it is our own thanks we receive, but it is a beautiful metaphor nevertheless. Why would we not go there? How stubborn do we want to be? The ego urges us to keep our grievances, but the ego does not love us. The ego's existence depends on our holding grievances and seeing others as responsible for our pain. The ego's plan is for us to see ourselves as victims of others and at the mercy of outside conditions. With practice and true willingness, we can release our thoughts of anger and attack to the Holy Spirit for healing. I have had experiences of working on this practice over several years with some people. One of them recently sent me an email asking me for my forgiveness! I had not heard from him for five years and when I finally did, I found there was nothing to forgive. I had released any grievances I held against him a long time ago, prior to hearing from him. Ultimately, we are not forgiving anyone out there, as it is only our interpretation of what we believe about anyone that is being released. Hearing from him was a beautiful demonstration of not getting attached to any outcomes or expectations in our forgiveness work. This process is only for our own healing and does not depend on anyone doing anything. Remember, we are asked to apply this Lesson to everyone we meet. Every encounter is a holy encounter. As I see my brother, I will see myself. As I treat him, I treat myself. Jesus reminds us, "Never forget this, for in him you will find yourself or lose yourself." (T.8.III.4.5) (ACIM OE T.8.IV.19) Anyone we meet gives us another chance at salvation. There are no accidents in salvation. Those we are meant to meet, we have met and will meet. We can apply this practice to ones we remember from the past, those currently in our lives, and anyone we think about. "The Holy Spirit leans from him to you, seeing no separation in God's Son. And what you see through Him will free you both." (W.78.8.4-5) He sees no separation because there is none. We see differences with the body's eyes, but the Son of God is one Self, and we are joined in Oneness with all that is. We seem to be fragmented into many forms, but that is not the way the Holy Spirit sees us. He sees no separation.